On the day yvonne Ridley addressed a Holocaust Memorial event in Newcastle just nearby thugs from the far right went on a wrecking spree at a local Muslim academy. History has taught us nothing, she says. 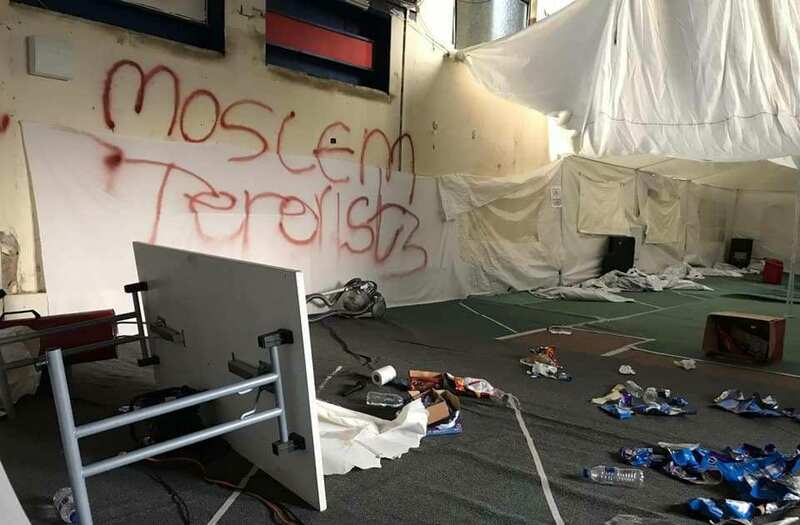 On the day I was invited to speak at a Holocaust Memorial event in my native Newcastle vandals had set about a nearby Muslim academy on a wrecking spree complete with vile graffiti. It is absolutely shameful that in the 21st century the sort of hate we thought had long been consigned to the history books in 1930s Europe is back, and as well as Jewish communities being targeted Muslims are also finding themselves in the firing line. The Bahr Academy in Newcastle’s West End used to be the former Byker Grove TV Studios where Ant and Dec formed their lasting show business partnership more than 30 years ago. The dilapidated building which is of huge historical importance would probably have been bulldozed by now if local Muslims on Tyneside had not bought it some years back, spent hundreds of thousands of pounds on extensive renovations and ploughed through miles of red tape by Newcastle City Council planners. Thugs from the far right have vandalised the building before and I’ve no doubt these odious creatures will be behind this latest attack. The crime reminds me of the chilling words of a Jewish friend of mine, the late Leon Kuhn, a gifted artist and satirist who warned me: “The Muslim communities are now at the head of the same street Jews were dragged down in the 1930s. We must not let this happen again.” Sadly, Leon died more than five years ago, but I remember what this great anti-war political cartoonist said as though it was yesterday. As Holocaust Memorial Day arrives we must not forget but we must also make sure that history is not allowed to repeat itself on anyone, no matter who they are or how they pray or don’t. I’m back in Newcastle on February 16 to talk about anti-semitism, Islamophobia and all manner of hate crimes which blight our society. definitely not in my name and certainly not in my city!